Summer is already halfway over and a new school year is fast approaching. For me, its always one of my favourite and exciting season because I get to be back to school and reunite with my friends! Apart from these, one of the best parts of heading back to school is SHOPPING for new supplies! And of course a new backpack for a new school year is TOTALLY the best part of back to school! Hence, today I’ve put together a list of chic backpacks which will make you look forward for new school year! Whatever your preference is, I assure you’ll find something you adore in this collection! 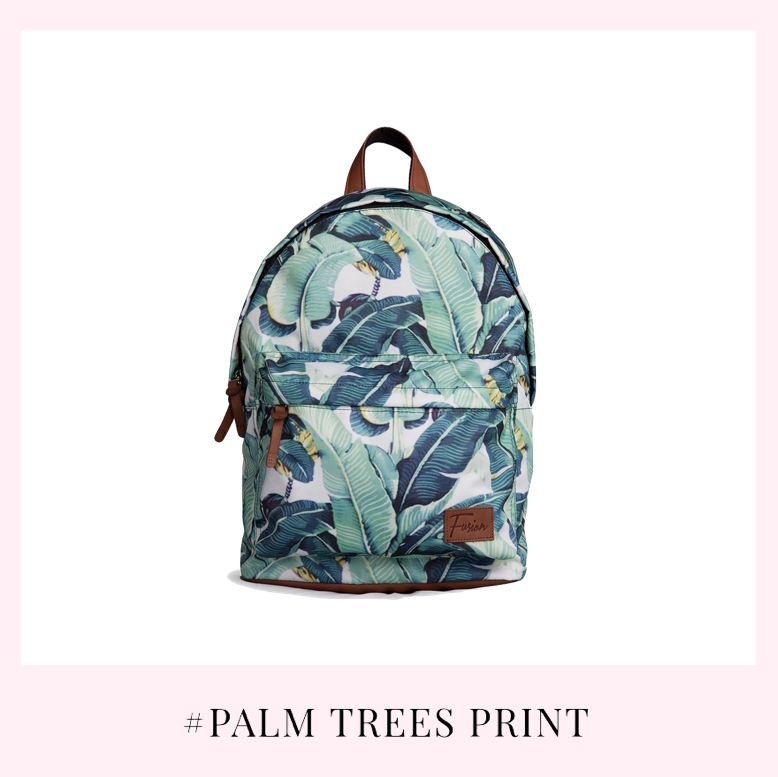 If you’ve an obsession for palm tree prints, this is the perfect backpack for you! Aside from these, it can add a Summer vibe to your look instantly! Here is another alternative for those who love trees printed backpacks! 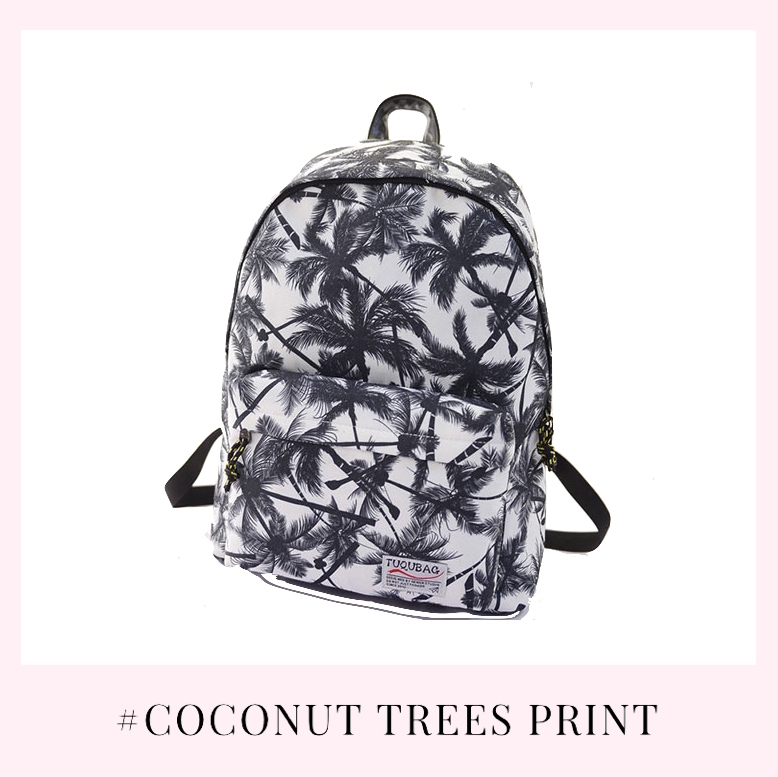 If you prefer a more subtle one, why not pick this backpack which has coconut trees all over it but its in monochrome. Now, you don’t need to worry your backpack might look a bit too much for your outfit! If you want something striking and able to steal your classmates’ attentions instantly. 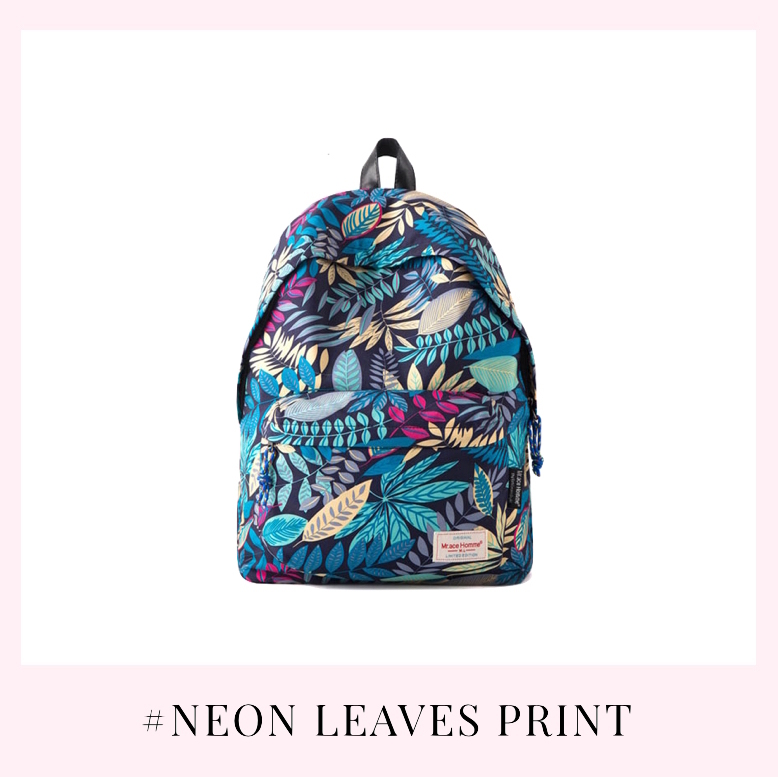 Why not go for a bold back-to-class look with this colorful neon leaves backpack? Have a huge crush on floral prints? No worries, we’ve got you covered! 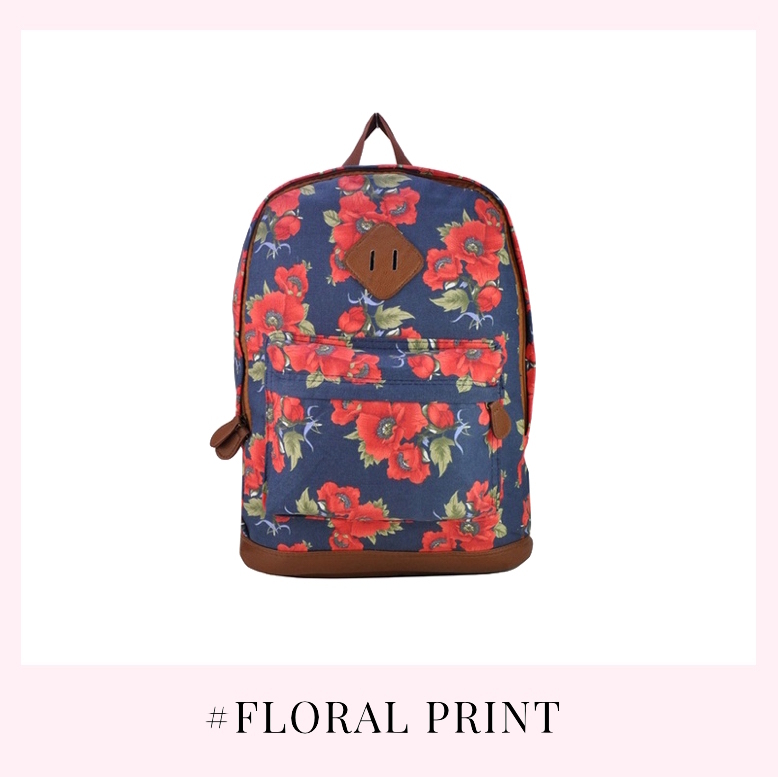 Just carry this cute canvas backpack with red floral print! I know some of you might prefer floral prints in a more subtle manner. This backpack is definitely what you’re looking for as it is very basic and only has minimal daisy prints around the compartment pockets! 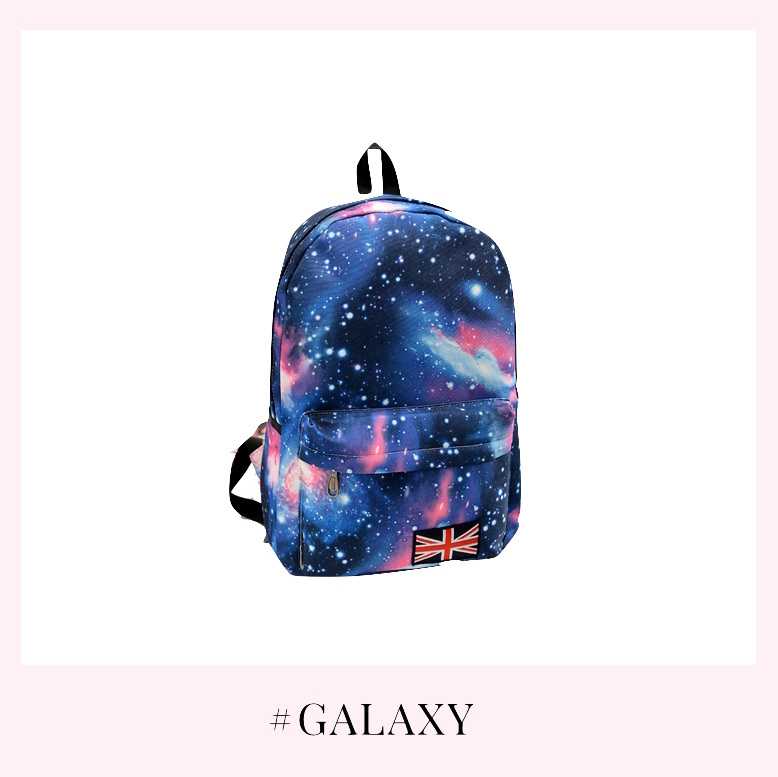 If you’re a huge fan of galaxy, this is the dope piece of galaxy backpack which you can carry to school every day! Believe me, you’ll have all eyes on your backpack! I know stripes have been everywhere. However, in 2016, stripes are extremely hyped! You can spot fashion elites wearing stripes from head to toe! 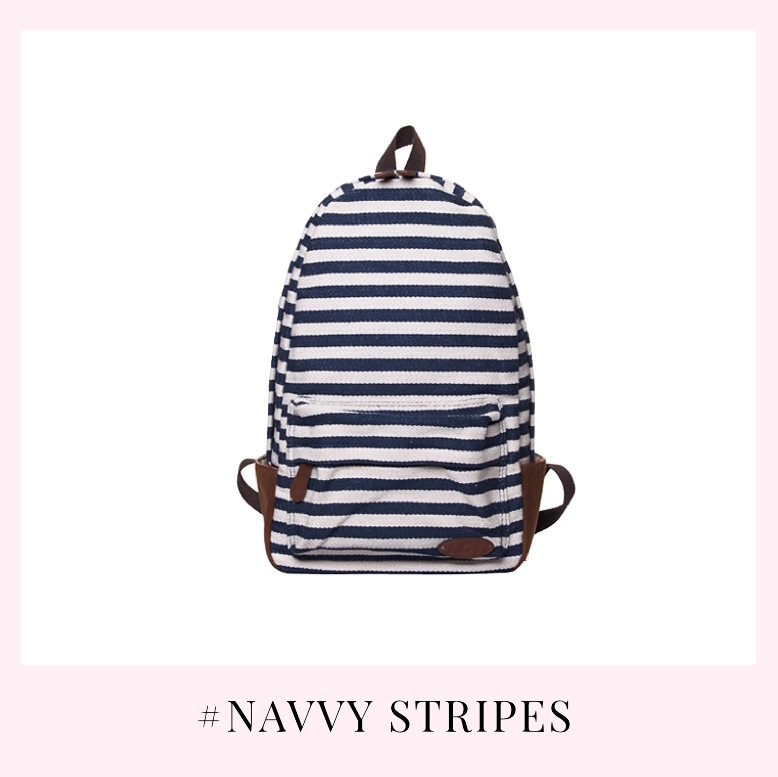 Thus, carry a navvy stripes backpack can never be wrong! Aside from these, navvy stripes always remind us about vacation which act as a bonus point! Pastel pink is one of the must own color in 2016! 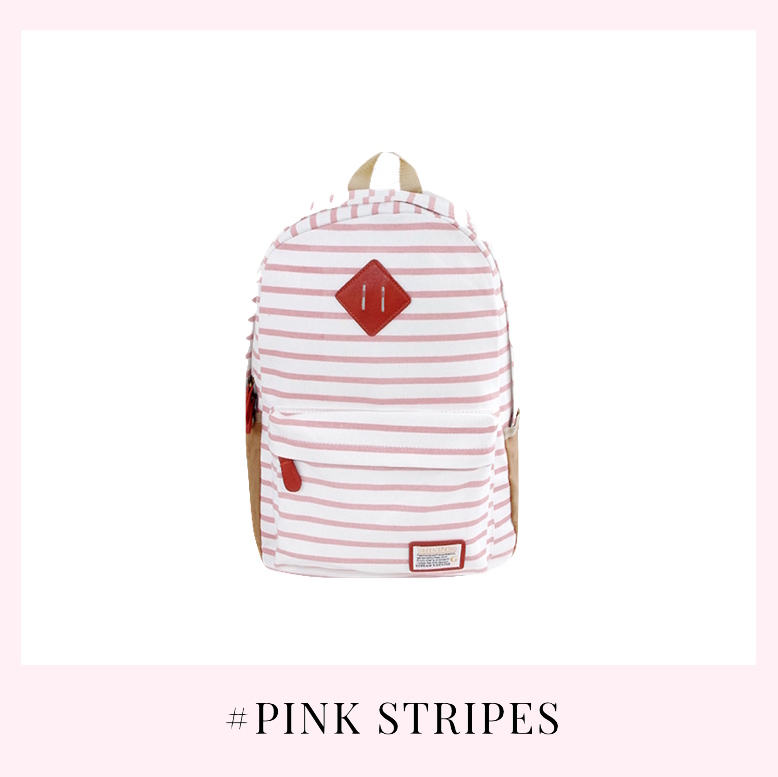 Thus, if you’re the girly kind of girl, this cute backpack with pink stripes will definitely complement your style! 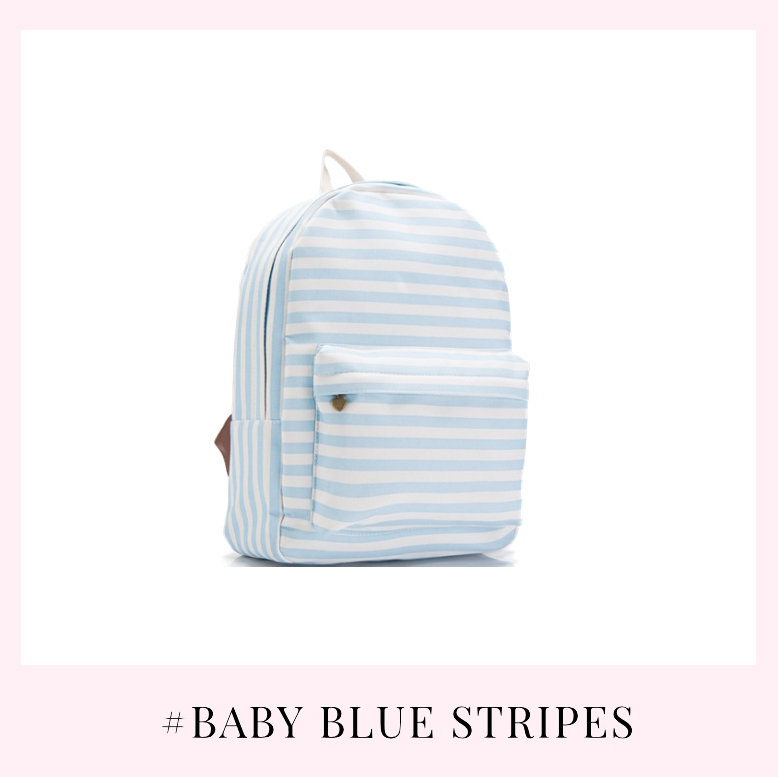 This is another cute and lovely stripes backpack which you can go for! Looking for something edgy? You’re in luck! 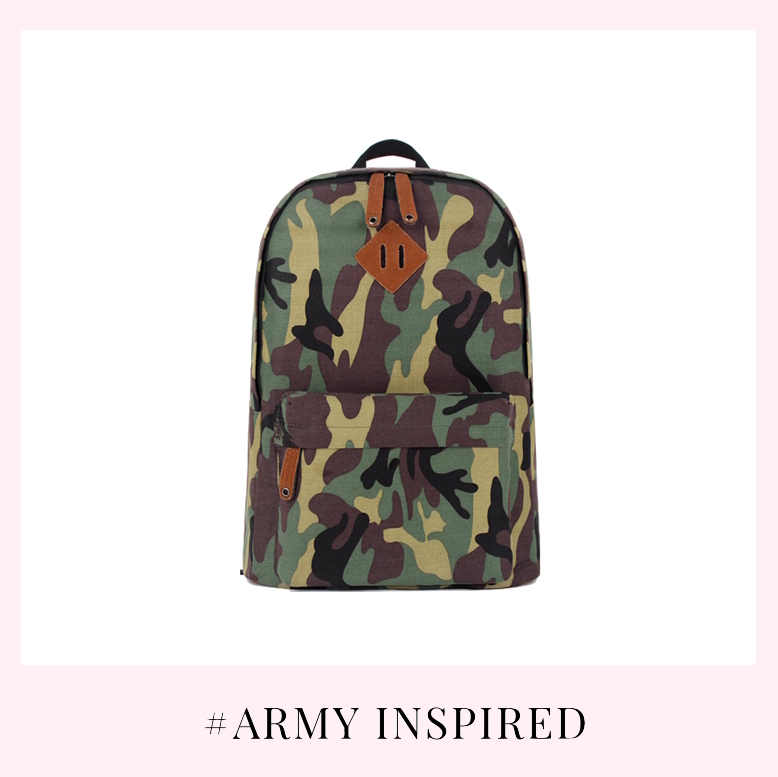 We’ve this cool army inspired backpack which will definitely complement your look and add a splash of edginess! 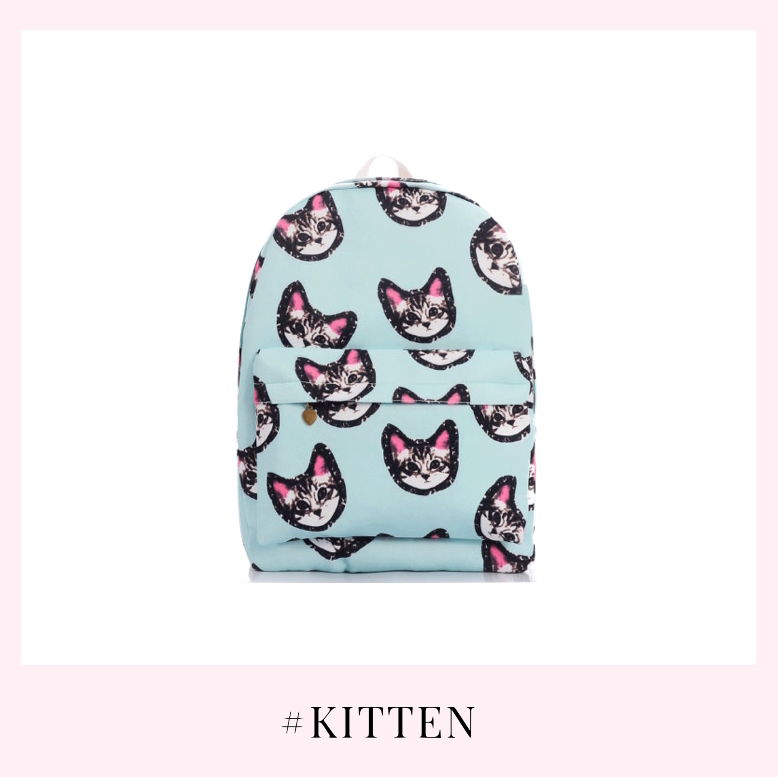 Going to school can be extremely fun and quirky with this cute kitten printed canvas backpack! 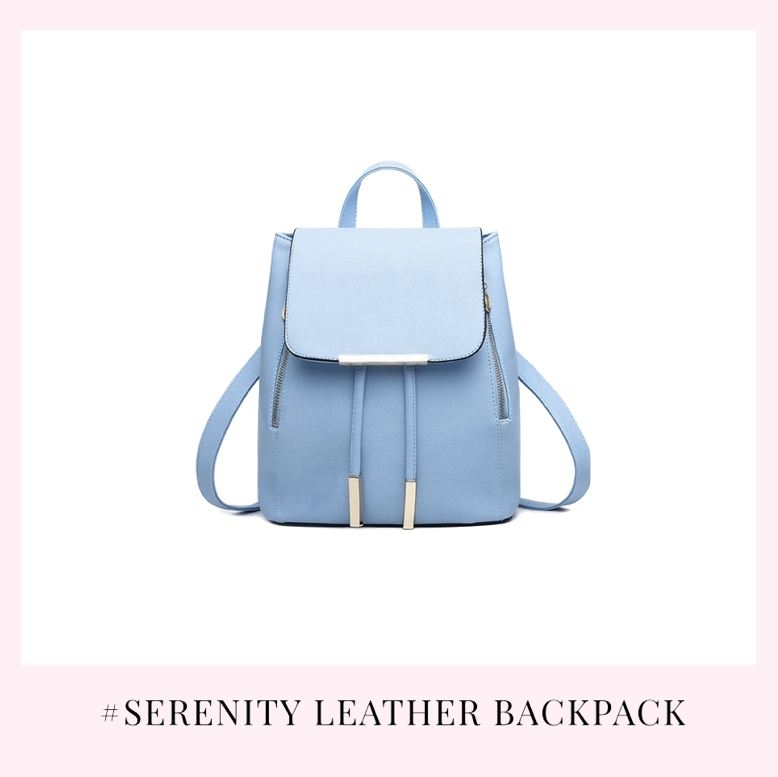 Most important is the color of this backpack is in this beautiful shade of pastel blue. 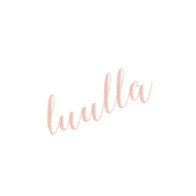 Apart from pastel pink, serenity (pastel blue) is also another must have color in 2016! This serenity backpack is perfect when you do not have too many text books to carry on that day. 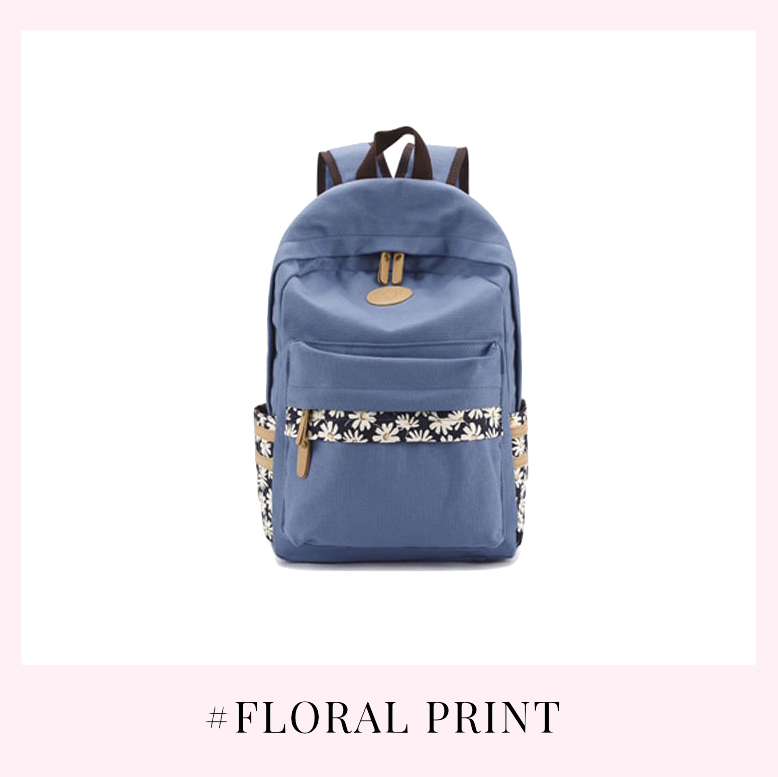 you’re heading somewhere else after class as this backpack will look stylish on every look! Besides of serenity color, this backpack also available in rose quartz! 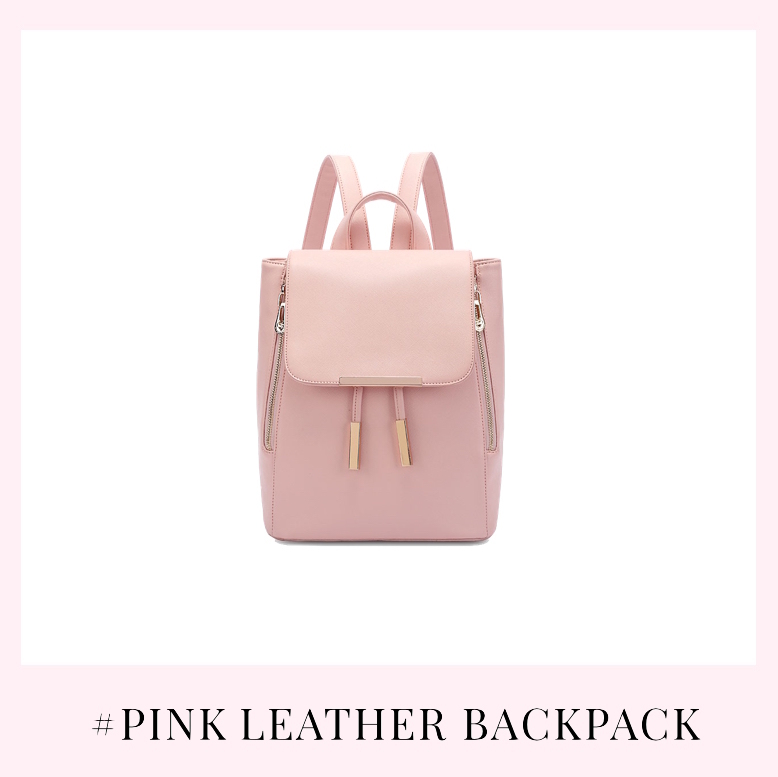 With this lovely rose quartz backpack, you can add a feminine touch to your outfit instantly! Believe me, your girlfriends will envy you! 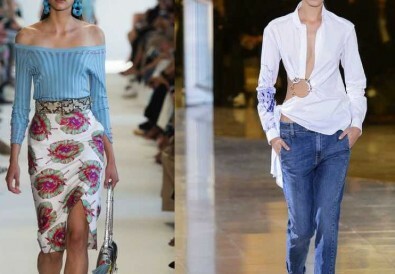 Denim is the fashion staple which will never go out of style! 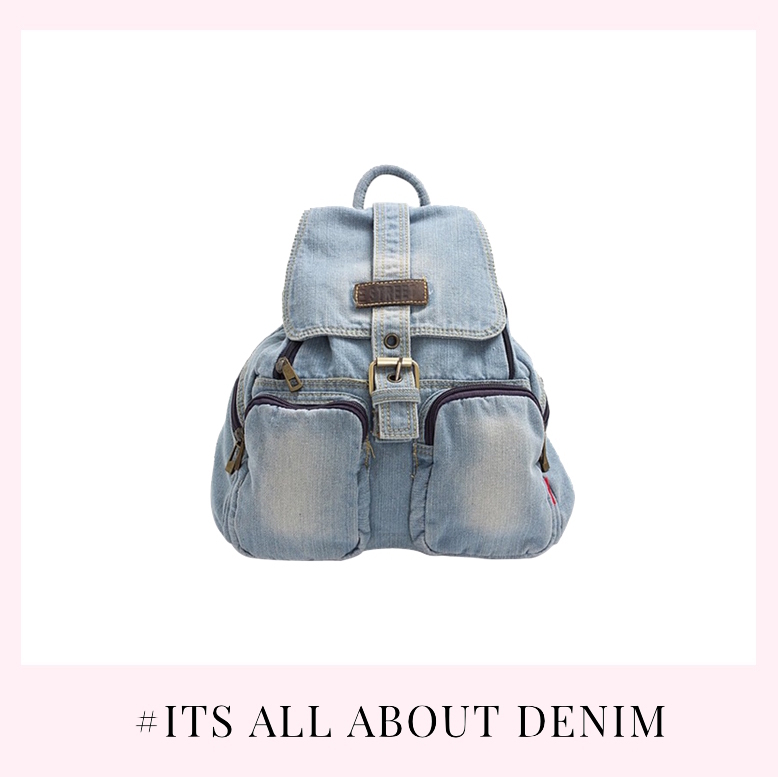 This year, denim trend has expand from clothes to accessories such as backpack. Denim and lace can go very well together just like butter and bread. Want to have a feminine touch on your backpack? 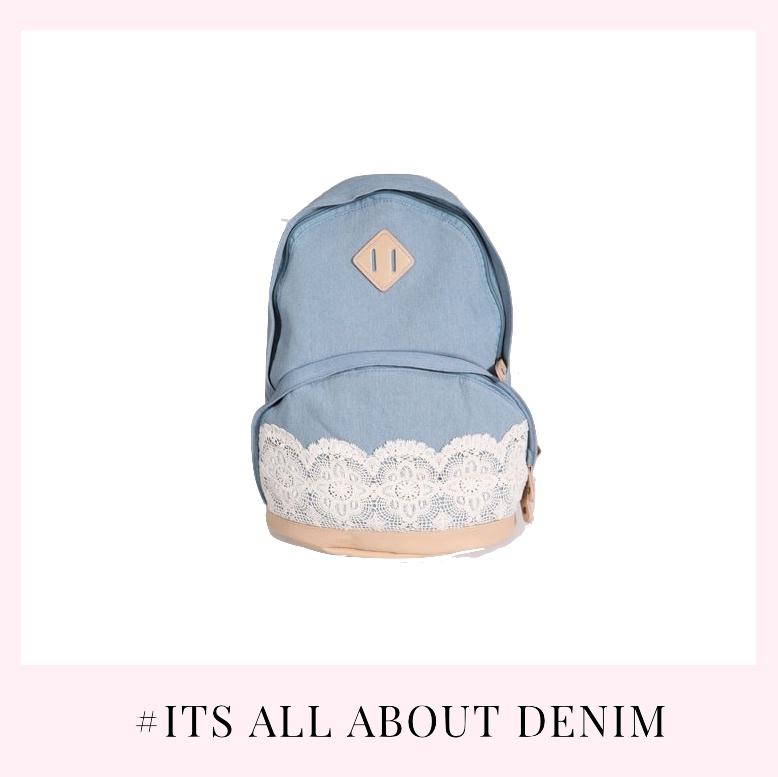 This denim and lace backpack will be the ultimate one for you! If you’re a minimalist, this classic black leather backpack is all you need! As they are sleek and of course super versatile. Whether you’re wearing skirt, dress or pants, this black leather backpack will look absolutely fab on it! 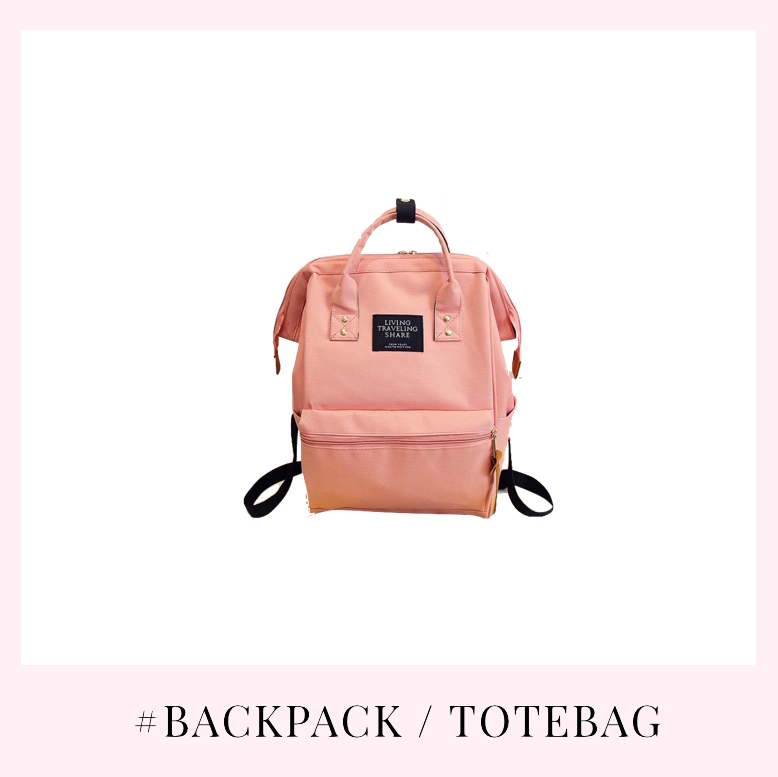 Apart from the classic black, cream color backpack is also a great option for those who love being basic and minimal. This is because this color literally goes well with any of your outfit regardless your style is! In 2016, this squarish backpack which can turn into tote bag is one of the most hyped backpack! This is due to its versatility. Most important is they are super spacious which you can dumb in literally everything and still look absolutely gorgeous! If you’re attending gym class or you’re just basically tired of the quintessential backpack. 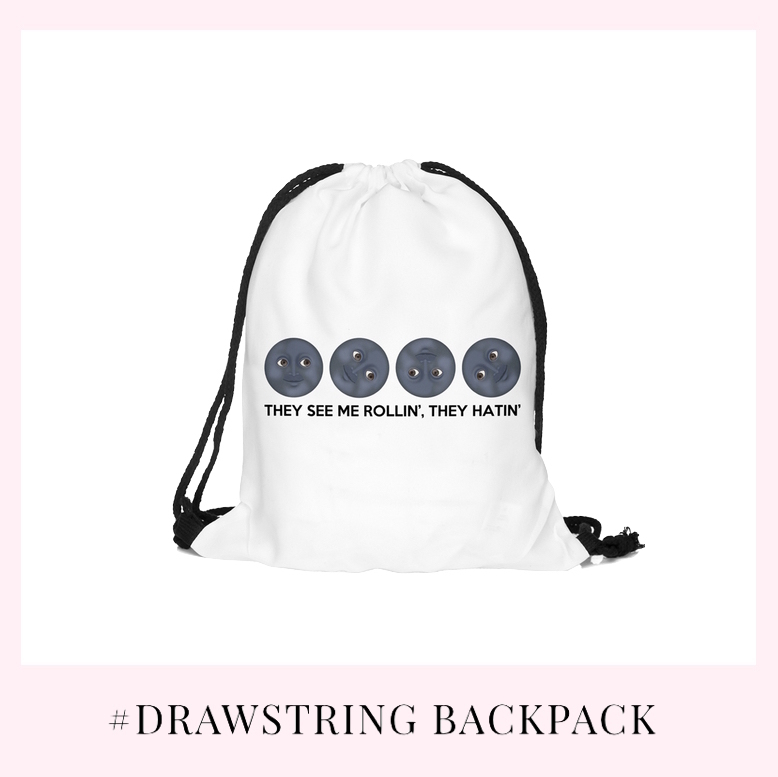 A drawstring backpack with funny emojis will definitely brighten your day! Apart from these, it might create some conversation topics for you and your classmates! 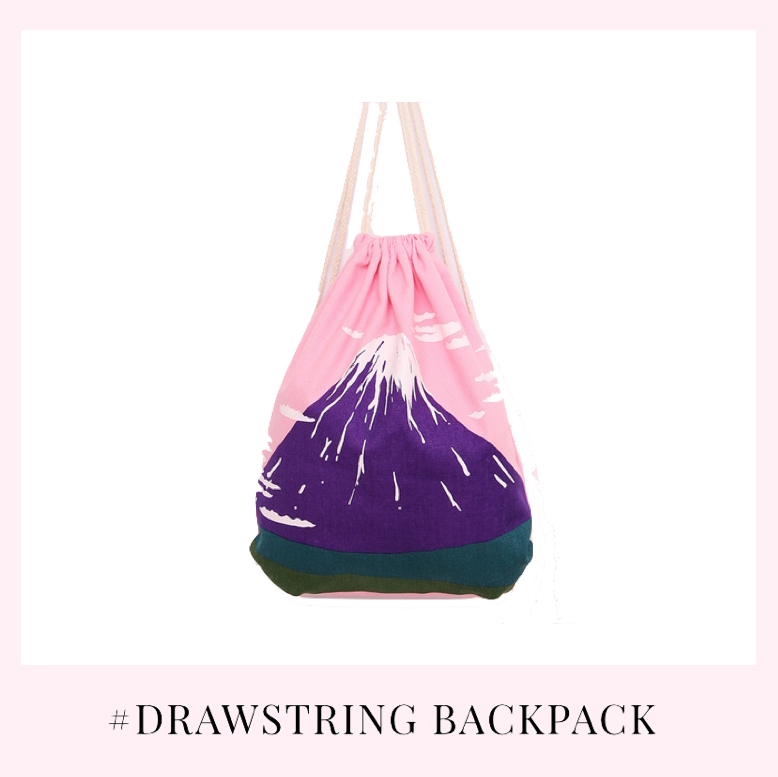 Here is another cute alternative for drawstring backpack. If you want something more lovely, this cute pink fella is all you need! We hope you will find the perfect backpack for your new school year!